Amber Patrice Riley was born on 15 February 1986, in Los Angeles, California USA, and is an actress, author, and singer, perhaps best known for being part of the series “Glee” as Mercedes Jones. She also won season 17 of “Dancing with the Stars”, and all of her efforts have helped put her net worth to where it is today. 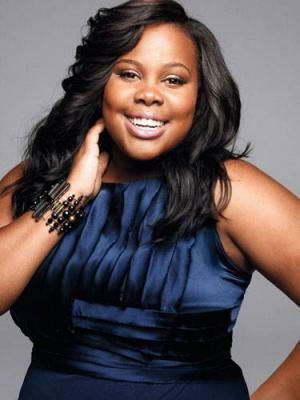 How rich is Amber Riley? As of mid-2016, sources estimate a net worth that is at $2 million, mostly earned through a successful career in acting. She also displays her singing prowess in several shows that she’s been a part of, displayed prominently in the television show “Glee”. As she continues her career, it is expected that her wealth will increase. Riley started out with a career in music at 17 years old, trying her hand at “American Idol” during its second season. However, she was turned down, and returned to school to matriculate from La Mirada High School. Her big break would come in 2008, when she was cast as Mercedes Jones for the series “Glee”, and would appear in all six seasons of the show, during which she was featured numerous times and had many solos, including “Bust Your Windows”, “Beautiful”, and “Spotlight”. She also performed a Whitney Houston tribute, singing “I Will Always Love You”. Most of her performances earned good reviews from critics, and she would win a Screen Actors Guild Award for her performances. She was also nominated for a Teen Choice Award and a NAACP Image Award. This was a strong basis to her net worth. According to her, one of her best moments was when she sang for President Obama in 2010. Other appearances she’s made include the 2010 MTV Music Video Awards, and at the 2012 Democratic National Convention where she sang the national anthem. She also co-wrote a song for “The Saturdays” and would then release her debut single entitled “Colorblind” – she also performed the song in “Glee”, and is now working on her debut studio album. One of her latest projects is NBC’s “The Wiz” which was her first role outside of “Glee”. She is also set to play the lead role in a “Dreamgirls” production set for November 2016. Aside from that, her singing can be heard in Todrick Hall’s album “Straight Outta Oz”. Riley’s other endeavors include being a part of the 17th season of “Dancing with the Stars” in which she partnered with professional dancer Derek Hough. They would eventually win the season – she was the first African-American woman to win the show. Amber also has her own online clothing store called “Rileyland Fashions” which she often displays and models. Her variety of interests all add to her net worth. For her personal life, it is known that Amber has a tattoo on her wrist. She also mentioned that she has an obsession with shoes and likes pizza. She also mentions that her personal and professional lives are at different levels which are the reasons for a lack of any information with regards to relationships. Amber has also done philanthropic work, becoming a spokesperson for VH1 Save the Music Foundation and Do Something. She is also an advocate of keeping music education in schools; she has partnered with State Farm to promote awareness for beginner drivers. 2 She auditioned for American Idol (2002), when she was 17-years-old, during the show's second season but was turned down by the producers. 22nd Annual Trumpet Awards 2014 TV Special performer: "I Look To You"
Who are Leading Ladies Beverley Knight, Amber Riley and Cassidy Janson and what’s their album Songs from the Stage about?